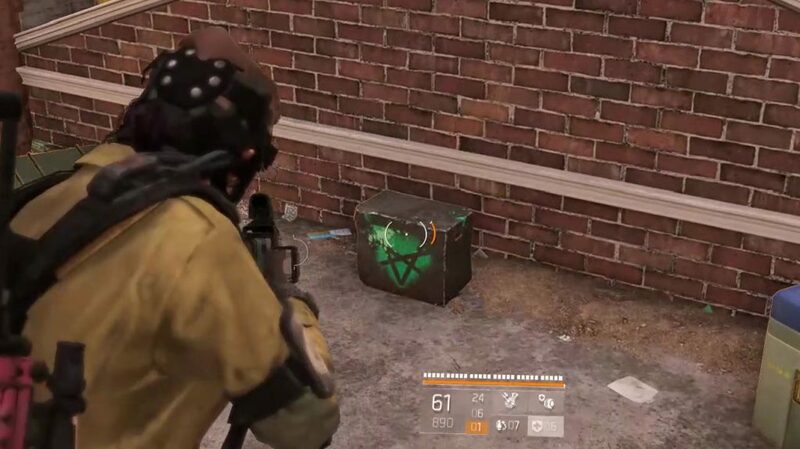 Hyena chests are special loot boxes in The Division 2. They can be only opened with particular keys, and they’re often well hidden. They drop great loot, but more importantly, they sometimes contain parts for the Chatterbox P90 exotic SMG. 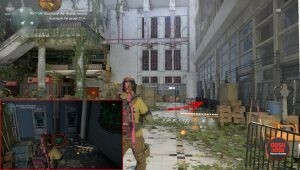 This guide is going to show you some Division 2 hyena chest locations, and explain how they work, where to find keys and more. We’ve found two chests in the Judiciary Square area. One was in the big building south of the lower entrance to the Dark Zone. Go into the building and make your way to the courtyard. From there, enter the lobby with the elevators. Drop down the elevator shaft and you’ll end up in the garage. Head to the right, into one of the adjacent rooms. You’ll find the box on the floor, next to some crates with gas masks on them. The other one is on the eastern edge of the area, between the two Dark Zone entrances. Go into an alley from the east, the one next to the red brick building. Climb the ladder, then open the door in the corner and climb another ladder. You’ll end up on a small rooftop where you’ll find the hyena crate. There are two chests in the Grand Washington Hotel mission. The first one’s on the top floor, while you’re trying to get to the roof. Head left from the corridor into the demolished room, then turn right and go into the bathroom. It’ll be on the floor. Continue through the hotel, and once you go through the security office, you’ll climb a set of stairs leading to the roof. Turn right as soon as you exit, and you’ll see the second hyena chest. There are three hyena boxes in the Federal Triangle area. The first one can be found in a building northeast of the safe house. Go inside and head to the atrium. Turn right and look for a ladder leading up the scaffolding. Hug the left wall until you see the box. The second one is in the northeast of the area. While walking down the main street, you’ll spot a building with a patch of yellow facade. Turn into the alley there, and use the ladder to get onto the roof. The crate will be on the edge of the roof, overlooking the street. The final chest is in the Jefferson Trade Center, and you can get it during the mission. Go to the far end of the garage and turn left into the smaller section with the loading docks. Go right, behind the trucks, and you should see it in the far end of the loading bay. We also found one in the District Union Arena stronghold mission. After you secure the area during the Eliminate the Hyena Council objective, before you head into the garage, go down to the ground floor of the mall. You’ll find the hyena chest in the corner of the adjoining room across the hall from the stairs. It’s going to be next to some ATMs. There are two chests in the Downtown East area, practically next to each other. Go to the northeast of the zone, to the corner of H St NW and 9th St NW. You’ll see an entrance with green spray paint above it. Go inside and follow the corridor. You’ll exit into a courtyard, right in front of the Meret store. The first chest is inside, in the far left corner. Go outside and you’ll see a rope next to the door leading back to the street. Climb it and enter the cafe on the roof. The second chest will be behind the bar. You can get Hyena keys from various key cabinets in underground passages. They’re on a respawn timer, so you won’t be able to farm them, but whenever you find an underground entrace, it’s worth checking out. We’ve listed several of these locations in our hyena keys locations guide. The chests are on a respawn timer as well, so you can’t farm them. It will take abour 24 hours for a chest to restock, and if you try to open it before that you won’t get anything, and you’ll lose your key. Joining other people’s sessions won’t help either – when you open a chest, you should steer clear of it for the next 24 hours. You’ll need to loot several of these hyena boxes in order to get parts for the Chatterbox P90 exotic SMG. The parts aren’t a guaranteed drop, so you might have to return several days in a row and check all the boxes one by one. Hi mate. Firstly, great info regarding this rare gun and how to get it. My mate and I have cleared the Jefferson Trade Centre half a dozen times and yet no Hyena crate appears in the loading Dock as mentioned in your post. Any idea why this may be the case for us? Do you need to do these in order or be tier 4 for them to appear? Any insight would be awesome. Currently my friend and I are skill level 282, 309 respectively. TIA. Mine actually glitched and wasn’t visible. It’s in the corner behind the van. There’s a third hyena box in Judiciary Square, if you’re looking for the Chatterbox parts. You have to do start a secret side mission that you get in the Northeast corner of Judiciary Square. The quest giver is near the vendor up there. During the side mission you unlock some hostages at the end, and there’s a box in there. I actually got my parts out of that box, so I can confirm it works. There is also a hyena chest in the toxic alley supply room I haven’t gotten a part out of it but I’m sure someone else can confirm if you can get parts or not. Also great work on this article keep it up.